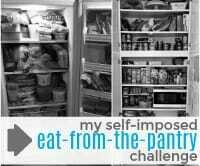 Back in October, I decided we had WAAAAAAAAY too much food in our pantry and freezer… my solution = a self-imposed Eat-From-The-Pantry (and freezer) Challenge! 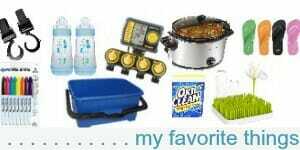 Today I’m sharing how this 3-month-long challenge worked for our family, as well as how I’m planning to change my grocery shopping from here on out. Although I make soup regularly throughout the entire year, I definitley make more soup during the long cold winter months. 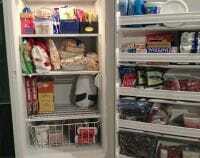 And surprisingly, our kids eat soup really well! 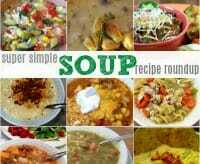 If a nice hot bowl of soup sounds like something you’d like for dinner, then the super simple soup recipes in today’s post should give you plenty of ideas! 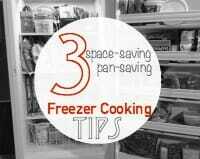 Today I’m sharing a simple freezer cooking hack I’ve used for years — but have apparently neglected to mention on the blog! 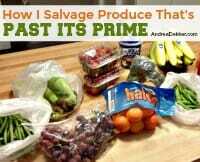 Not only is this tip simple, it’s extremely frugal, and it could have various other uses in your kitchen as well! Pizza and pasta are 2 of our kids’ most favorite foods — so any time I can combine the ingredients from pizza and pasta, I know it will be a huge hit! 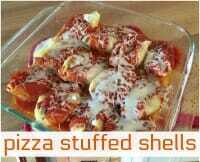 Today’s recipe for pizza stuffed shells is very basic, very tasty, and super easy to make ahead or freeze. It’s such a great weeknight meal when you just want to shove something in the oven and eat 20-30 minutes later! 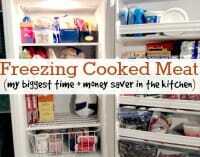 Over the past several years, I’ve shared much of my freezer-cooking journey here on my blog… and every time I do, I get countless questions about how to safely freeze (and refreeze) meat. 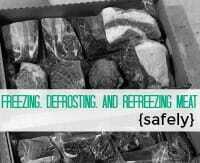 While I don’t claim to be an expert, I have done some research, and today I’m sharing MY answers to these “how to freeze meat” questions! 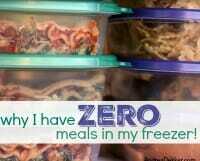 Why I Have ZERO Meals In My Freezer! 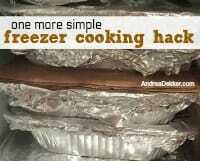 Freezer cooking has been a crucial part of my efforts to simplify my life for over 10 years now. 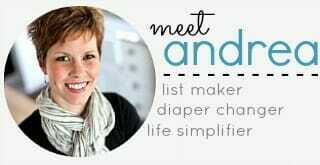 I have saved myself countless hours in the kitchen, thousands of dollars at the grocery store, and bucket loads of stress due to planning ahead and having ready-made meals in the freezer ALL THE TIME. A couple months ago, the kids and I stumbled across a popsicle mold at the dollar store and I quickly snatched it up, promising homemade popsicles for a snack later that day. 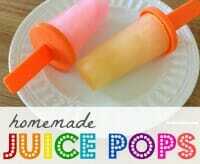 Since then, we have enjoyed homemade juice pops as an afternoon snack on a VERY regular basis! 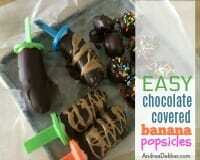 They taste great on a hot summer day and take roughly 10 seconds to make!! 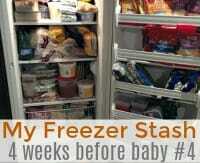 Almost exactly 5 years ago, I shared a post about various different foods that I freeze, and over the past 5 years, that post has consistently been one of the most popular posts on my site. It has been shared thousands of times on Facebook and Pinterest and rarely a week goes by that I don’t get more comments and questions regarding that blog post. 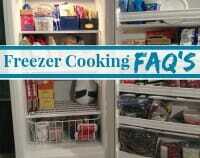 Today I’m answering some of the most commonly asked freezer questions I’ve received. With the impending arrival of a new baby any day now, I’ve been asked over and over again what types of meals I’m making ahead to alleviate the need for as much cooking later on. 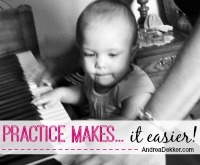 Today, I’m sharing that list! By now, most of you know that I’m a huge advocate for keeping our deep freezer fully stocked in an effort to save time in the kitchen and money at the grocery store. 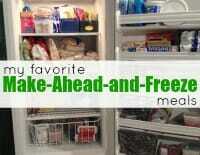 However, if I had to pick my #1 biggest time + money saver in the kitchen… today’s tip would be it! Our family loves lasagna — however, I don’t always love making lasagna because it makes such a big mess. So in an effort to please the family and make life a little easier on myself, I came up with this “lasagna-like” recipe. 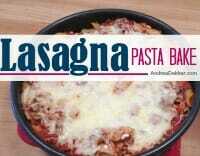 It’s a simple, delicious recipe that tastes just like lasagna but without all the work! 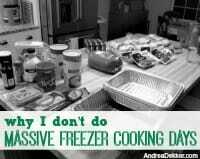 Whenever I do a post about freezer cooking, I usually get at least a few questions asking how I make room for all the food in my freezer and how I manage to have enough baking pans for all that food. Surprisingly, my answers to both questions are exactly the same — and that’s what I’m talking about today!